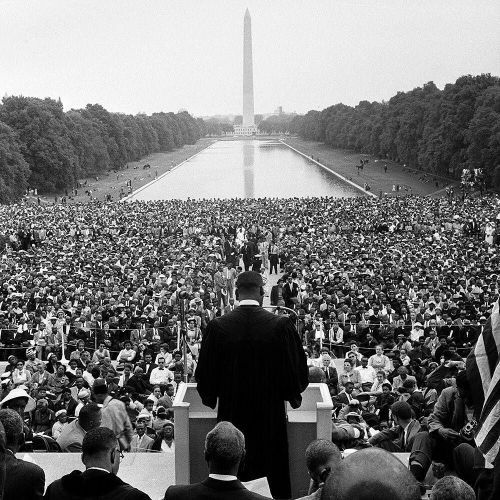 "On May 17, 1957, thousands of civil rights advocates gathered at the Lincoln Memorial in #WashingtonDC for The Prayer Pilgrimage for Freedom. The 3-hour demonstration observed the 3rd anniversary of the Supreme Court decision outlawing segregation in public schools. The @nytimes staff photographer George Tames photographed the Rev. Martin Luther King Jr., addressing the assembly. The preacher, who was 28 years old at the time, said the Supreme Court ruling had come as "a joyous daybreak to end the long night of enforced segregation." He continued: "It came as a reaffirmation of the good old American doctrine of freedom and equality for all people." #MLKday #history" By nytimes on Instagram.